Doting dad Shahid Kapoor’s latest initiative for spending some time with family starting August 10, 2017 will now also guarantee his fans an adorable start to the weekend and will surely give some major relationship and family goals. 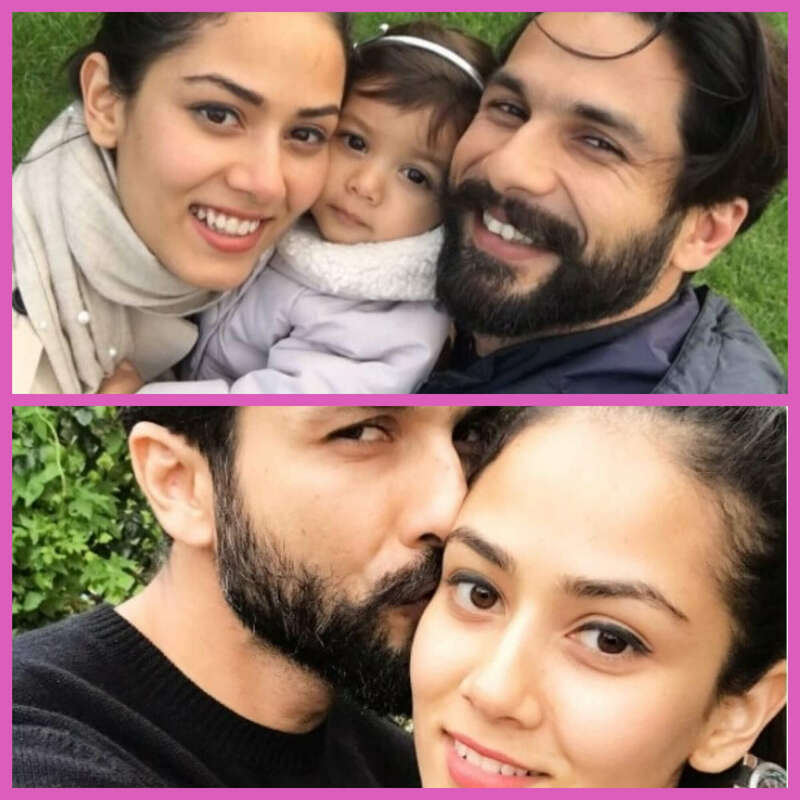 Shahid, while on a vacation with his family abroad has shared a picture cozying up with wife Mira Rajput Kapoor and daughter Misha on his social media account. The selfie has been shared just a day before Misha’s first birthday and years later, this is going to be one of the iconic throwback pictures and a brilliant keepsake for the little munchkin, Misha as she grows up, especially on or before her birthdays. The trio looks happy as ever, smiling at the camera with little Misha protected in the safe arms of her parents and looking straight into the camera. Shahid has captioned the picture as “Best times” on Instagram and certainly the picture shows they are having one. The picture has meanwhile garnered over eight lakh views in a couple of hours, not to mention comments that drool over the little one’s cuteness and the family love. The family’s foreign tour, reportedly in London, is especially to create some special memories around their daughter’s first birthday, celebrate it in simpler ways than an extravagant party and also to take out some quality time away from Shahid’s busy acting schedules back home. While there, Shahid is enjoying some play time with “lil missy” and relishing some Thai food as well. Shahid and Mira, a girl from Delhi who is about 15 years younger to her husband, got married in a lavish ceremony on July 7, 2015 and have since then been in the news time and again. A year later on August 26, Misha was born and again the couple came in the limelight, albeit they did their best in keeping Misha away from the attention of the paparazzi just after her birth. It is now that both Shahid and Mira share their daughter’s adorable pictures on social media, creating quite the buzz and the number of fans for their little one. Misha hasn’t even turned one year old yet, but the attention and affection she attracts from the entire country is noteworthy. Her growing-up years might see her open up more to the glamour world she is becoming a part of, given that she is already warming up to being camera-friendly. It seems the little one’s first birthday will let the actor’s fans in into more happy times and special arrangements made by the couple. When back in Mumbai, Shahid will get busy in the shooting schedules of his upcoming film, Padmavati also starring actors Ranveer Singh and Deepika Padukone that is slated for release in November this year. Previous articleHow did Ileana D'Cruz make her way into Bollywood without a filmy background? For all things Bollywood, interesting takes on celeb comments & the nuances of the glam world of B town, she can share with you the right bit of infotainment. With a passionate interest in the creativity behind the cine world, she is also an avid reader and loves sketching.